Smoked Pork Roast – Simply Sundays! In this case I cooked up our Smoked Wings for another great meal!!!! 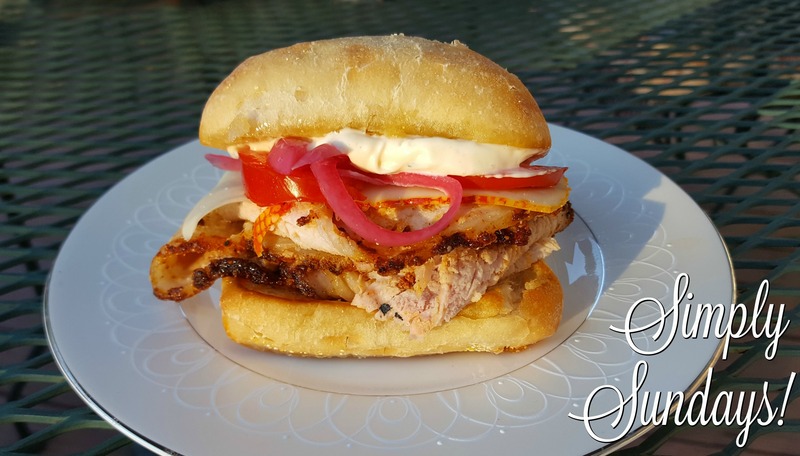 We served this delicious pork on buttered and toasted ciabatta rolls with tomatoes, Pickled Onions, muenster cheese and some garlic mayo!